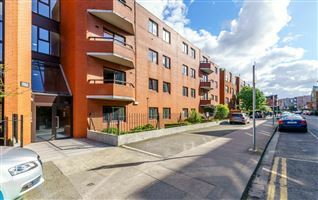 Mc Morrow Properties are delighted to bring 7 Almeida Avenue to the market for sale. 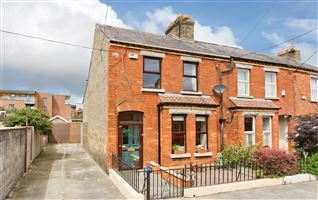 This is a stunning period red brick home that has been lovingly cared for by the current owners. 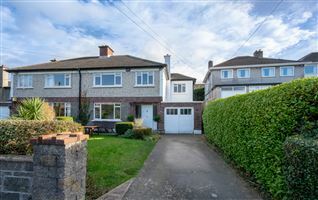 Situated in a quiet cul-de-sac, close to a range of excellent amenities, this home offers a fantastic opportunity for the discerning purchaser to set up roots in one of the most sought-after areas in Dublin. 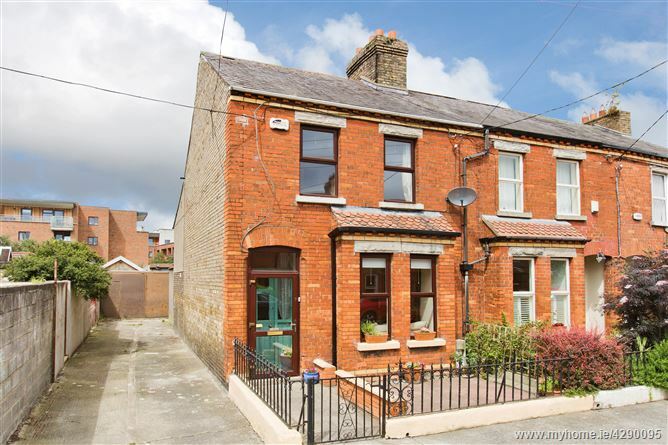 Beyond this attractive façade lies a charming and functional family home. 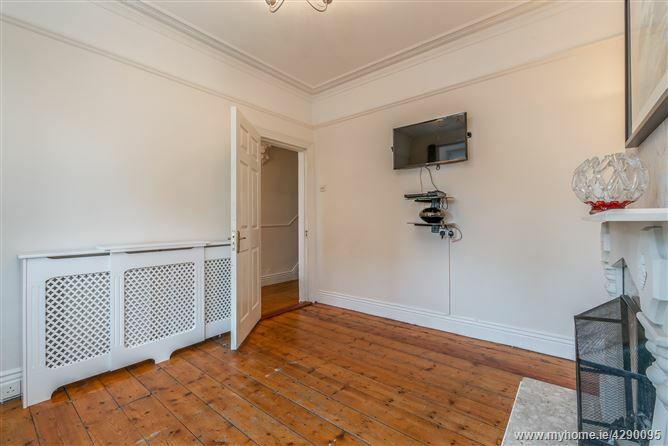 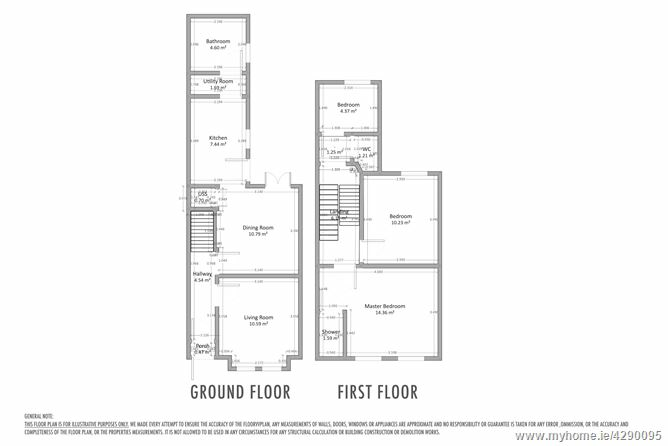 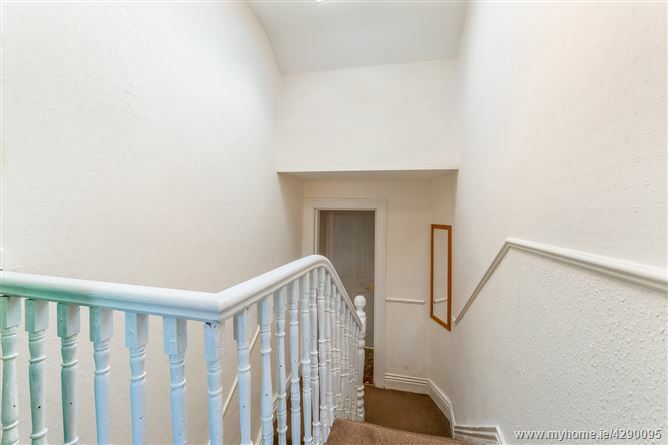 The ground floor comprises an attractive entrance hall, well appointed living room with box bay window, dining room with galley style kitchen and bathroom. 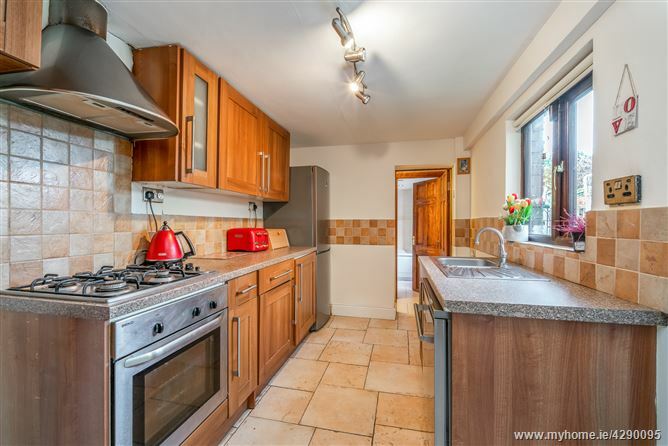 There is also a utility space off the kitchen. 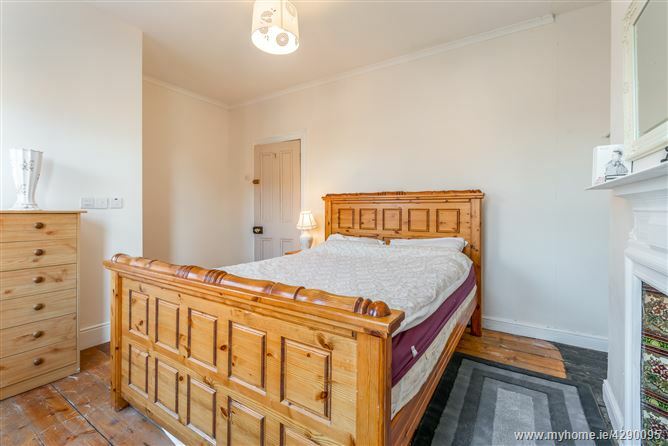 Upstairs, the main bedroom spans the full width of the property with two further bedrooms completing the accommodation. 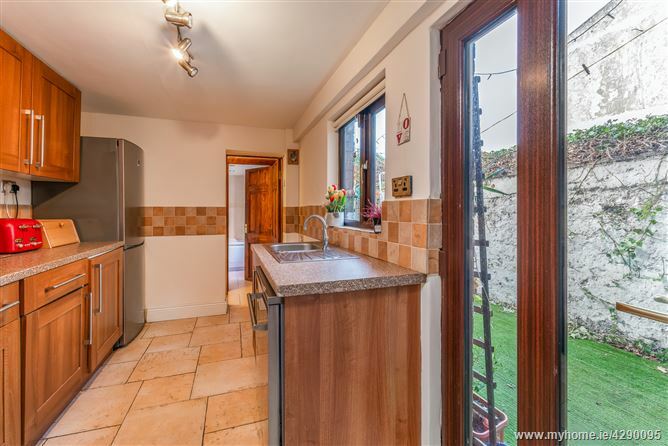 The front garden is traditionally railed with a patio and pathway leading to the front door. 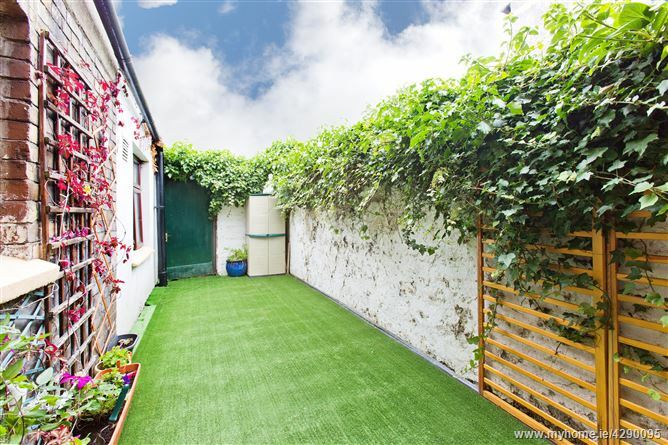 While the rear garden benefits from rear pedestrian access. 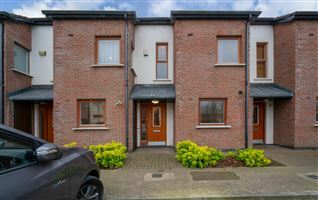 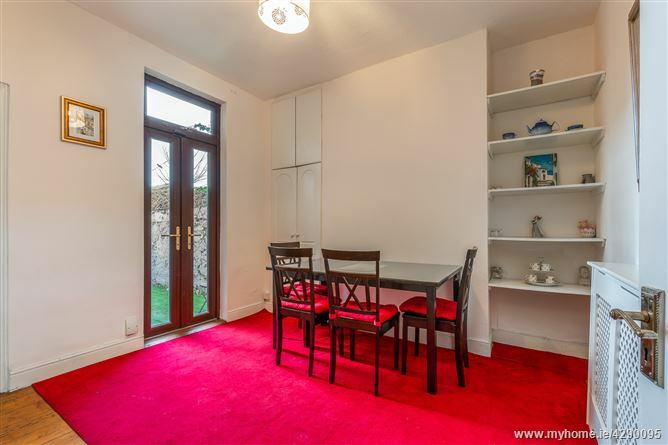 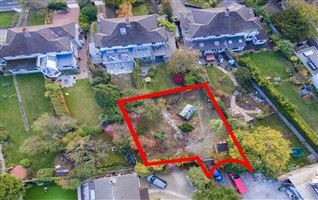 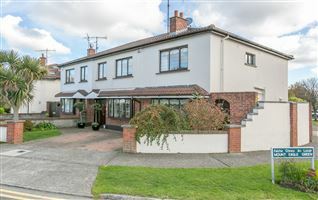 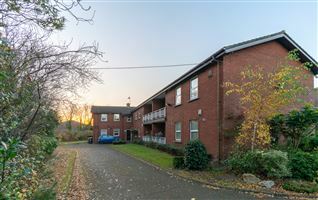 The location of this home is fantastic being within just a short stroll of a wealth of amenities and close proximity to IMMA, St James’s Hospital, the new Children’s Hospital site and a selection of Dublin Bus Routes, Luas and Heuston Station. 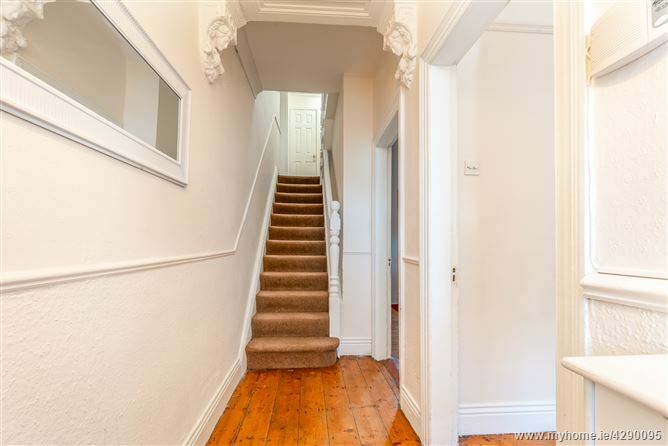 Entrance Hall: Storm porch leading to welcoming entrance hallway with original timber flooring, ceiling coving, ceiling rose and dado rail. 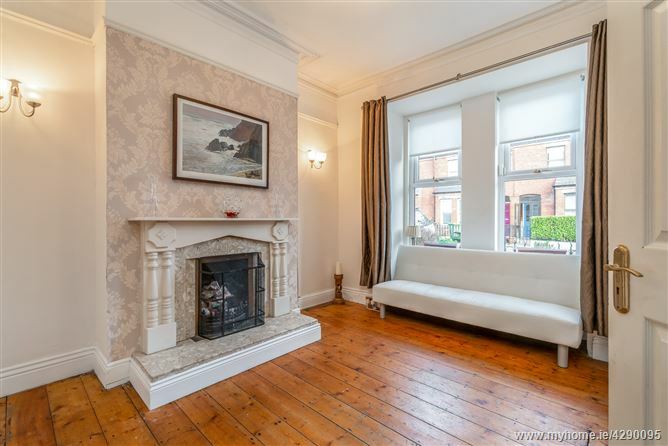 Living Room: Bright living room with original timber flooring, open fireplace, picture rail, ceiling rose and box bay window. 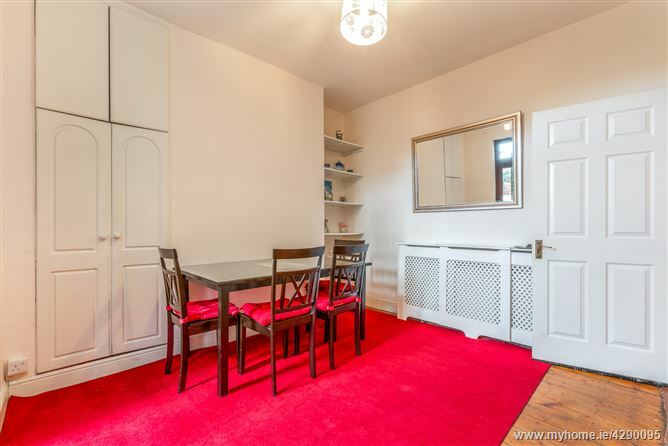 Dining Room: Original timber flooring, under stair storage and door to garden. 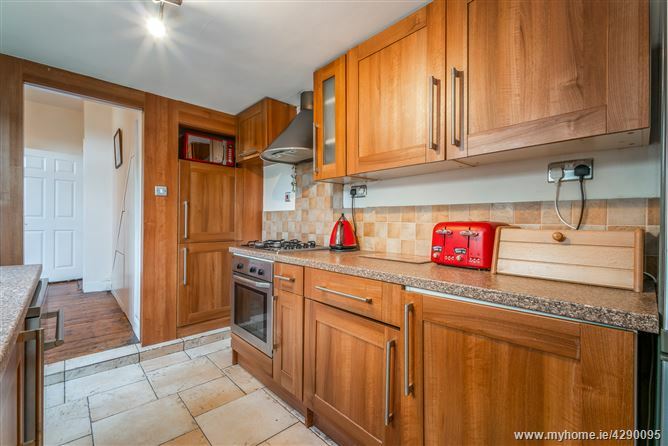 Kitchen: Galley style kitchen with tiled floor, fitted floor and eye level units, stainless steel sink unit with drainer, Beko electric oven, four ring gas hob, extractor and integrated dishwasher. 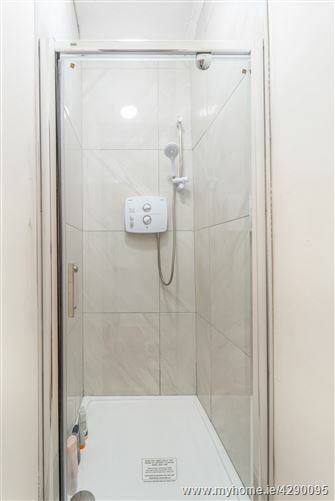 Utility Room: Tiled floor and plumbing for washing machine. 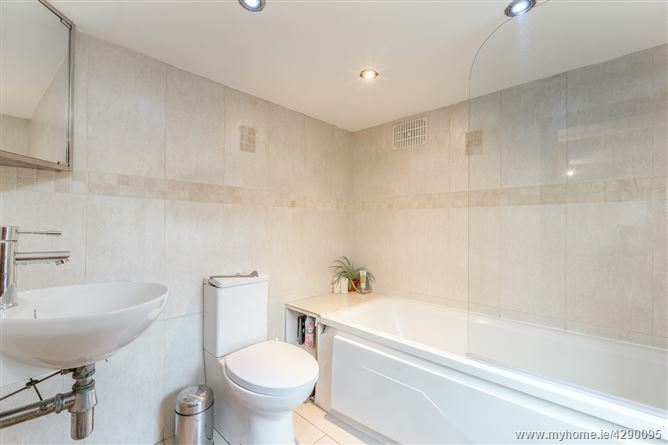 Bathroom: Tiled floor, wc, whb, picture window and bath with shower attachment. 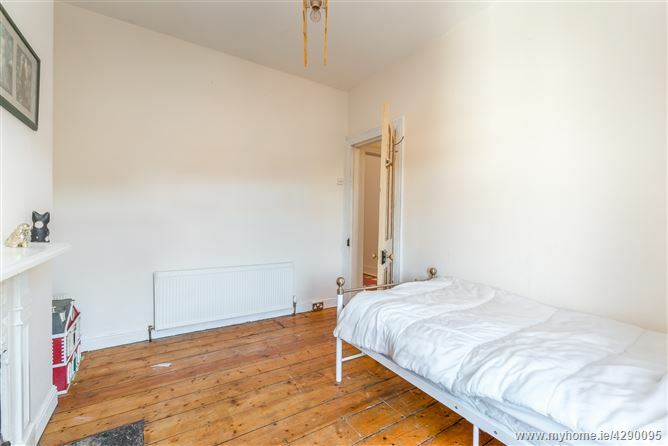 Bedroom 1: Double bedroom spanning the full width of the property with original timber flooring, two picture windows and fitted wardrobes. 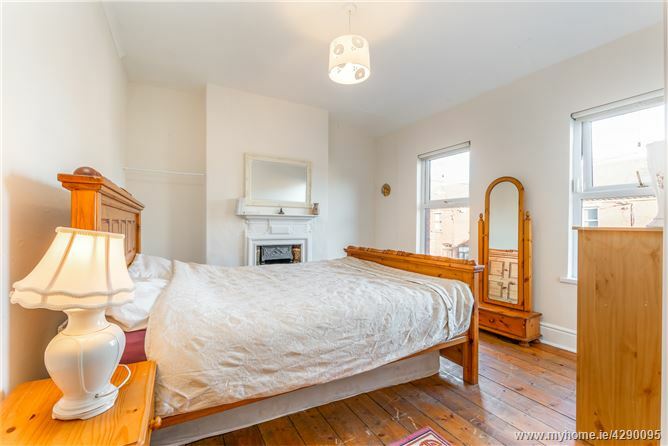 Bedroom 2: Double bedroom with original timber flooring, original fireplace, fitted wardrobes and picture window. 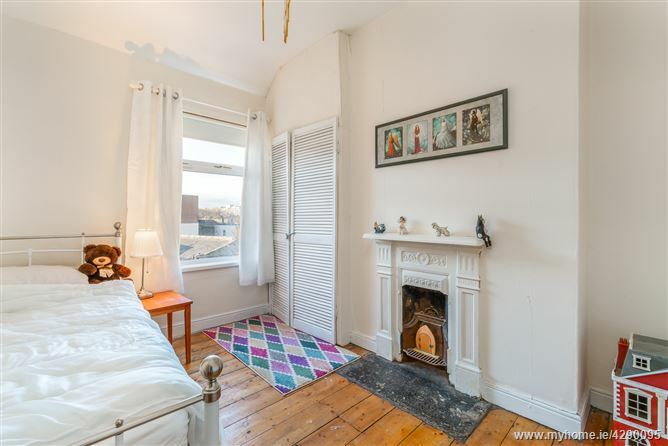 Bedroom 3: Single bedroom with carpet flooring, wc and picture window.